Visiting Napa Valley? 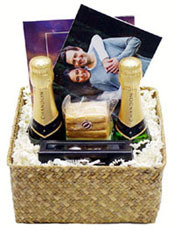 If you would like your chosen Gift Basket in your hotel room (free delivery in Napa & Yountville) before you arrive in the Napa Valley, or you require a quantity of custom Gift Baskets, Gift Boxes or Gift Bags for a Corporate Event, our 23 years of experience in the Napa Valley gift industry ensures your complete satisfaction will be guaranteed. Planning a party or corporate event? If you would like to learn more about how easily Christie's Basket Express can help with your personal gift plans or future Corporate Events held here in the Napa Valley and elsewhere, including a free detailed price estimate, please contact our courteous staff for more information. Christie's Basket Express can provide your company logo imprinted on a variety of reusable tote bags for your corporate events or meetings held in the Napa Valley. 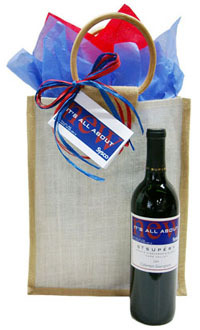 Looking for corporate gifts for your company meeting or event, at Christie's Basket Express we can create custom labels with your company logo to add the finishing touch to great Napa Valley products. Located in the beautiful Napa Valley, Christie's Basket Express was established in 1995 to offer an array of custom assembled Gift Baskets & Gift Boxes containing & expressing the finest in Napa Valley gourmet food, wine, and specialty items for your Personal & Corporate gift giving. At Christie's Basket Express every Gift Basket and Gift Box is only custom assembled after the order is placed (no pre-assembly), which also allows you the opportunity to custom design your order with the selection of added products and items. Whether your gift giving is Personal or Corporate, for one gift or hundreds, hand delivered locally (free delivery in the cities of Napa and Yountville) or shipped, our 23 years of experience guarantees your complete satisfaction. Our unique Chocolate Grape Cluster Favors are fantastic for wedding showers & receptions, commitment ceremonies, parties, and corporate events. Planning a wedding in the beautiful Napa Valley, Christie's Basket Express can create the perfect custom Gift Basket to say thank you for joining us at our wedding. We can also work with you to create personalized itinerary for the wedding party and wedding guests. 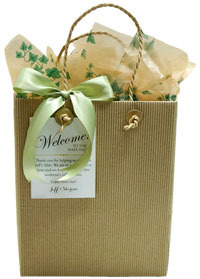 Interested in custom Wedding Welcome Gift Bags with personalized photo gift cards for your wedding in the Napa Valley, then contact Christie's Basket Express as we work with you to create gift bags tailored to to your wishes. 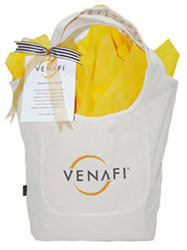 If your are planning an event in the Napa Valley and want to have custom totes bags for your guests when they arrive at their hotel then contact us for more information.